I'm Jared from San Diego, CA. I currently maintain nano tropical freshwater and nano tropical marine aquariums. I'm considering setting up a nano temperate marine aquarium. I have some empty aquariums which are candidates - a 3 gallon Picotope and a 6 gallon rimless cube. Or I may buy a new 10 or 15 gallon tank. I don't own a chiller yet, so I will be looking for advice on what kind to buy. I'm frugal by nature, so I'll probably be looking for something used. Perhaps a 1/15 HP JBJ Arctic Mini? I do own a RKL controller, which I expect will be useful. I imagine myself starting with macro, nems, clams, mussels, and chitons. I like the idea of using natural looking substrate and rocks, but I'm tempted to buy some porous dry live rock for the sake of biological filtration. 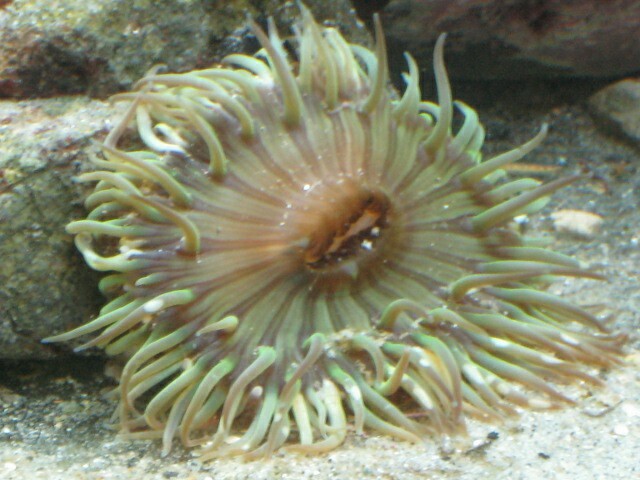 I've read that tidepool inhabitants can be more tolerant of higher temperatures, so I may start off without a chiller initially (perhaps just a fan) and work towards a true temperate system as I build my knowledge and confidence. I would appreciate any helpful suggestions, especially links to nano tank threads in Southern California. Welcome. And yes, make the temperate tank! lol! Without a chiller: you could collect some rocks from the ocean and cycle the tank. Add a couple of shore crabs too. As far as frugal chillers there is a lot of info on DIY aquarium chillers. I'll be going that route. AGREED!!! I learned the hard way with my tropical...GET THE CHILLER! So, I decided to go ahead and start cycling my tank, so I went to a nearby beach and collected some sand, water, and rocks. I made sure to check the local & state regulations. Even though I wasn't planning to collect any livestock I decided to buy a fishing license. I figured that would make it easier to explain myself to a Department of Fish & Game officer. I got lucky with the tide and there were a lot of exposed rocks at the beach. I saw Marbled Godwit, Black Turban Snails, Limpets, Blue Banded Hermit Crabs, Solitary Green Anemones, Striped Shore Crabs, Tide Pool Sculpins. I found rocks that had both coralline algae and macroalgae. When I got home I noticed a small limpet hitchhiker on one of the rocks. Hopefully I'll be able to keep him alive, but I don't think his chances are very good. Also, I doubt the macroalgae will be getting enough flow or light at this point, but I just couldn't resist. I'll probably have to remove it soon. I hooked up my RKL controller so that I can keep a close eye on the temperature. Right now it is 71.5 and falling. I'm blasting a fan at the tank to try to keep the temperature as low as possible while I look for a chiller. Tomorrow I'll connect my ATO to keep the salinity in check. Today I put the word out on the local reef forum that I'm looking for a chiller. Based on what I've read I'm leaning towards a JBJ 1/10HP. Hopefully I can find a used one for a reasonable price. I'd also like to have a thick acrylic tank (maybe 3/4" or 1"?) to provide better insulation. I've never worked with acrylic before. Does anyone here have experience with that kind of DIY project? Good work. 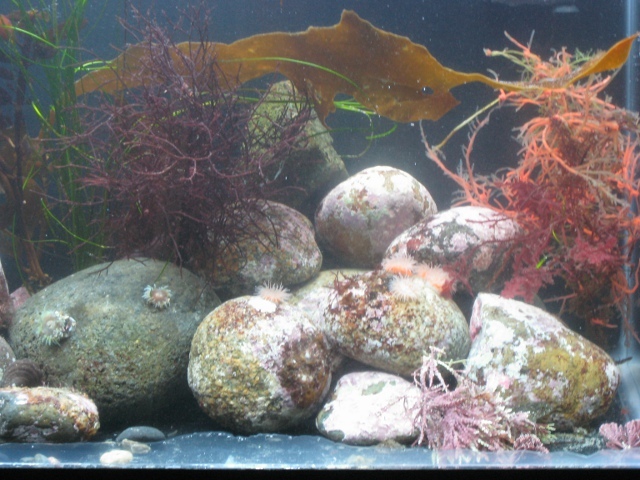 You WILL find a huge amount of die-back on your rocks, particularly the macroalgae. It is only because plants grow according to the local contritions and your tank is not the same as the beach. Get the chiller for sure, but even if you get it now, don't make it so cold that it takes 3 months to cycle. Cool it right down when you add nems and fin fish. Welcome to Temperate Reef! San Diego ey? My favorite city . So, I found a great deal on a used chiller from a fellow aquarist here in San Diego. I did a static test and a back flush then hooked it up, so my tank is officially temperate. I'm using a 15 gallon glass aquarium for now, but I'm looking for an acryclic one to provide better insulation. I'm using a piece of live rock from my tropical reef, some ceramic porous filter media in an HOB filter and dosing MB7. No signs of a cycle yet, so hopefully the nitrifying bacteria are doing their thing. Yeah, San Diego is pretty great. Puffer, I thought I had read that you were in Colorado. 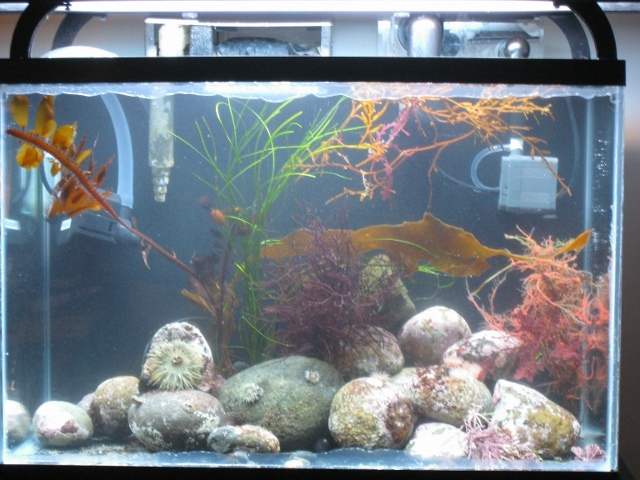 Ever since I got interested in aquariums I've been thinking about setting up a California marine biotope. I'm planning on going to the beach this weekend to pick up some more small rocks and some more macro-algae. It depends on where you read that. I'm on so many forums that I don't really pay attention to that stuff . I am keeping my tank at 65F (18C). I'm planning to feed "Rod's Food", Cyclop-eeze, mysis, baby brine shrimp, phytoplankton, and zooplankton. Today I put in a larger skimmer (CPR Bakpak), started running carbon, rescaped the rockwork, and thinned out the macroalgae. I am seeing a little bit of algae die-off, but so far it's not too bad. All my livestock seems to be doing ok. I decided not to add any of the sand I collected. Instead I'll be looking for someplace where I can collect some pebbles. If I don't find any then I will just leave the bottom bare. Yes, I have been testing the water. I was running the tank as a tropical reef and it was already cycled, so I am hoping that the bacteria population will survive. Well, it looks like I was overly optimistic. The Total Ammonia (TA) levels in my tank have risen to detectable levels. I used the table here to calculate the Free Ammonia (FA) level, based on a pH of 8.2 and a temperature of 62F. At .25ppm TA, the FA is neglible; at .5ppm TA, the FA is tolerable in the short-term; at 1ppm TA, the FA becomes harmful. My API test kit isn't very accurate, but it's giving me a reading somewhere between 0.25ppm and 0.50ppm. I have not had any casualties so far, but I can't let the ammonia rise above 1ppm. Today I lowered the temp to 60, added some bio-balls, and dosed 20mL of MicrobeLift. If NH3 continues to rise, then my next step will be to dose ClorAm-X. I'm very impressed with this CPR Bakpak skimmer. So impressed that I bought a second one for my tropical reef. I'll be picking up the pre-skimmer / bubble trap box attachment today. The weather has been pretty cool lately, so the chiller hasn't had to work too hard. But it never stays cool for long here in SD, so I am planning to add some insulation to my tank. I started a thread in the DIY section here. Not sure I mentioned this, but the chiller I am using is a 1/10 HP JBJ Arctica. Right now I'm still using the garden hose (wtf?!) that the former owner attached. It's very stiff and it looks ridiculous. I am planning to get some proper tubing and then wrap it with self-sealing PE foam pipe insulation. Usually that happens because of the die off from temperature change. Great that your skimmer works and good luck with the tubing. Looks good so far. It'll be nice to see it once the macro grows in a bit more. I particularly like the purple-brown coloured one in the middle there. Thanks! I'm pretty happy with it for now. I may add some more macros this weekend if I find some nice ones. I decided move the barnacles and the mussel to a QT because I'm worried about them dying and fouling my tank. I'm much more interested in keeping a gorg, so I'll be researching their requirements and keeping my eyes open for one. 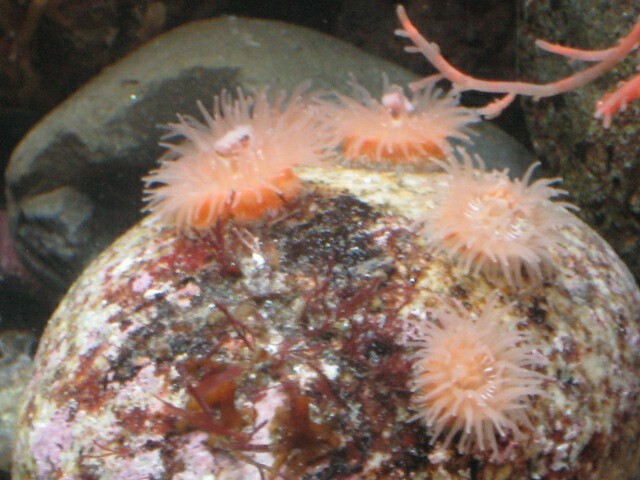 Other than that I'd still like to add some chitons, some Strawberry nems, a gunnel, and maybe a clingfish. I'm also keeping my hopes up that I'll find a source for a Spiny Pacific Lumpsucker. BTW, I've been trying to ID my macros (at least the genus) but I don't have and ID for the reddish-brown one in the middle that Brent mentioned. Any help would be appreciated. Oh yes, I wouldn't put any barnacles, mussels, or clams in there for a while. You will find barnacles just sort of grow. I would really get a substrate.. It would help.